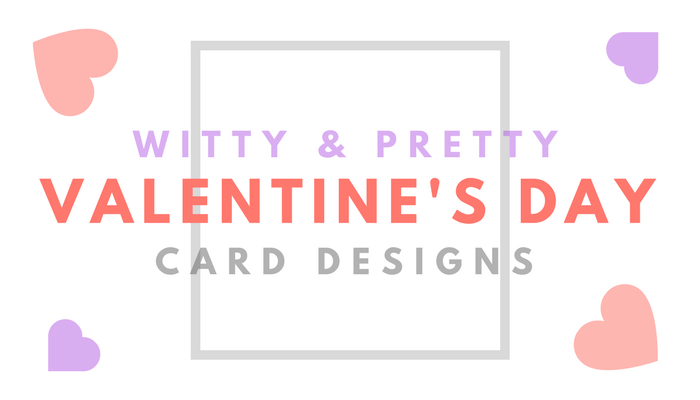 Valentine’s Day shouldn’t be a couples-only event and this card is the perfect way to turn the day of love into a sophisticated party. 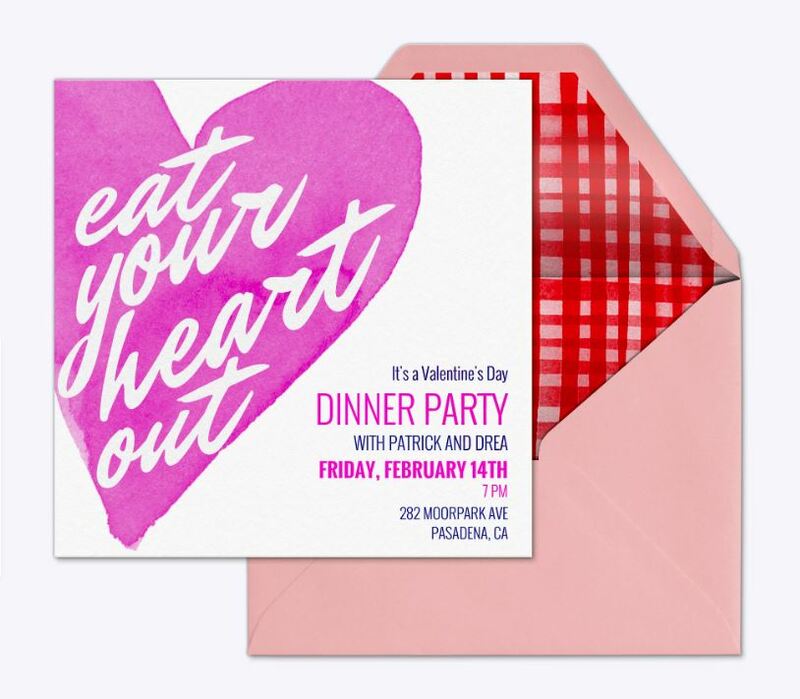 Not only does it have a cute purple heart design but its witty message will be able to get your friends off their PJs and into some fancy clothes for a fun celebration of the year’s most lovely day. 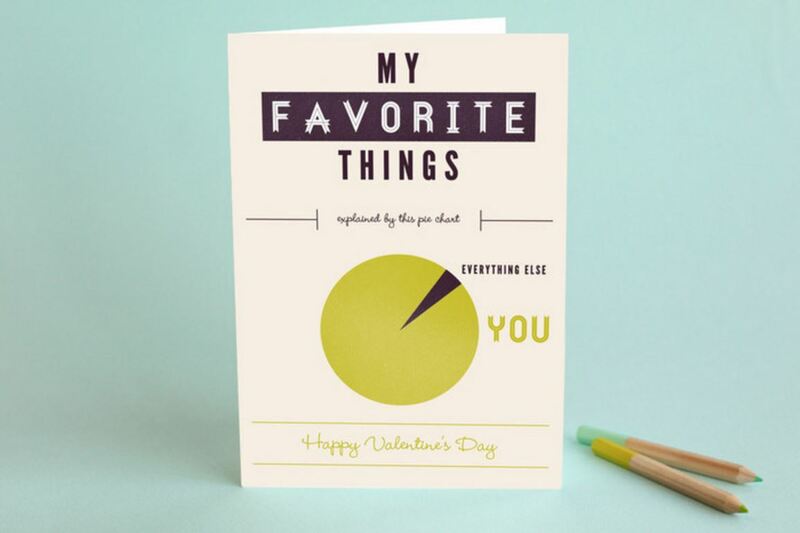 Both clever and incredibly sweet, this infographic-inspired Valentine’s day card design can easily melt the heart of every geek. The cool ribbon font and handwriting give off a touch of cuteness to the otherwise dull chart design. Not everybody has a date on Valentine’s day and that’s totally cool. In fact, it’s a great reason to get out with friends and have some fun. 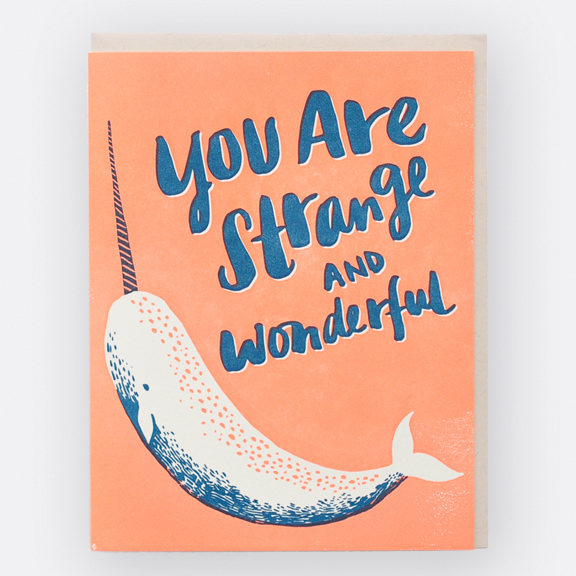 This Valentine’s Day card can be a funny way to invite your friends to a singles party and, who knows, you might even meet the “perfect stranger”. They say honesty is one of the greatest virtues so a Valentine’s day card design like this one must at least help you earn your crush’s respect. And who doesn’t love the peach, white and blue color combination? 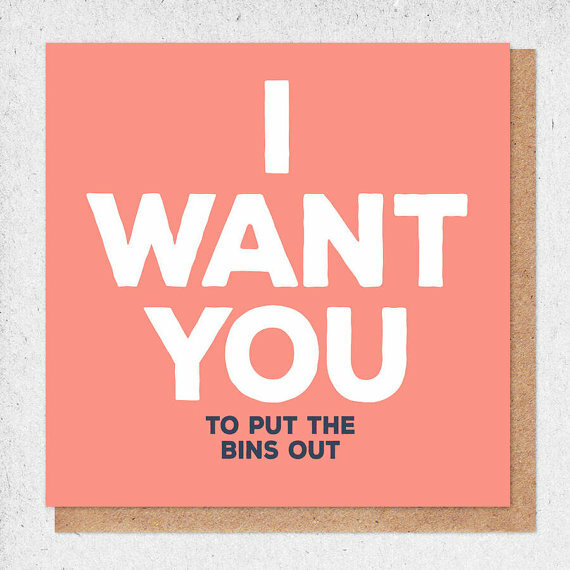 Mixed with a modern sans-serif typography and a hilarious message this Valentine’s day card design can easily break the boring traditions of sending out cheesy quotes as a romantic gesture. This is definitely not your everyday love card design but it definitely makes an impression. The bubbly script font and cute hand drawn whale create a whimsical design with a heart-warming message. Just like the previous card, this one has gone with the blue-peach-white color combination. 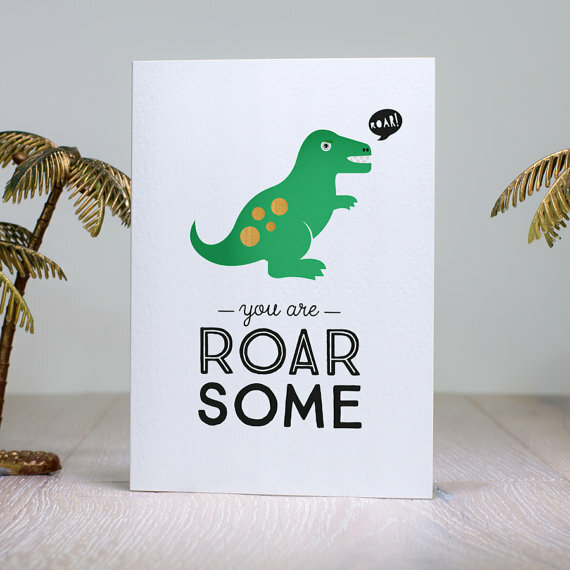 Found this gem in the Cards for Kids section at Etsy’s marketplace but, let’s be honest, everybody appreciates good humor. 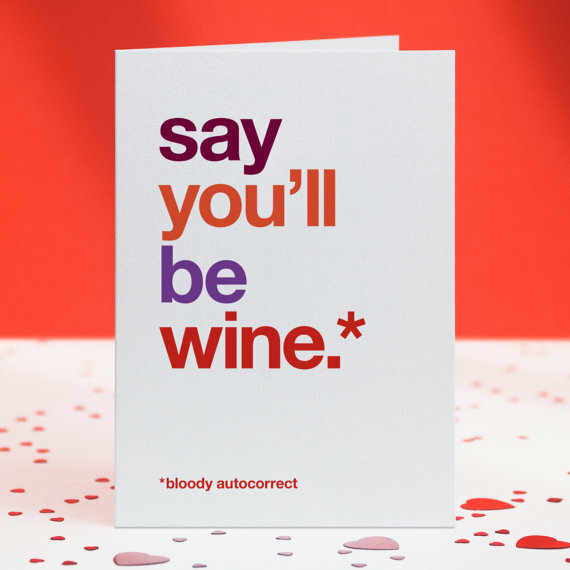 The pun in the sweet message makes this card perfect for Valentine’s day enthusiasts who like to make their loved ones laugh. 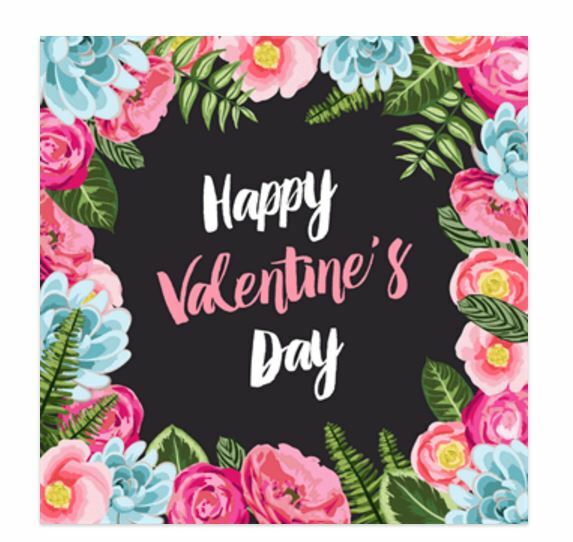 This customizable Valentine’s day card design has a color-rich traditional design with a tropical motif that quietly reminds of the carefree 60s. Vintage fan or not, your valentine could easily fall in love with the gorgeous floral patterns of this card ( and of course, with you ). This cute Valentine’s day card found at Martha Stewart is everything you need for a super sweet date. Almost everything, of course. Don’t forget the flowers and the sweets, tho. 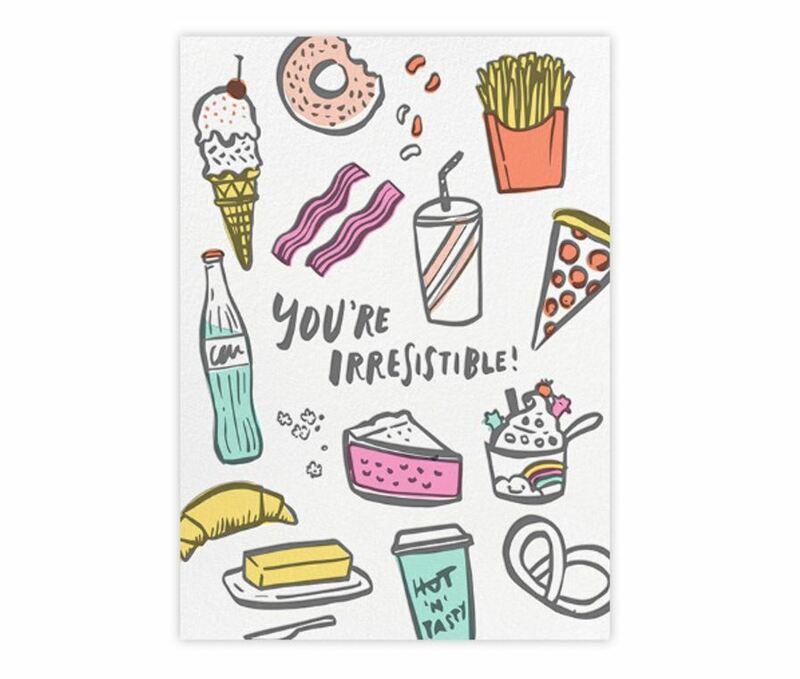 But with a pun-filled, candy-colored card like this one you can easily lovelock the heart of your crush. 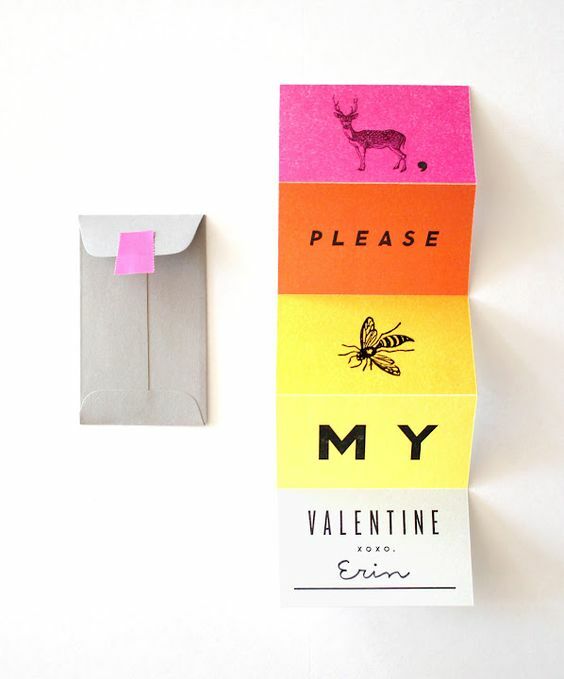 This witty hand-drawn card is yet another memorable Valentine’s day design by Paperless Post. Confessing to share the same love for another that you share for sweet and delicious food is a serious commitment. And if not your love message those lovely hand illustrations are sure to make an impression. Autocorrect has taken one too many awards for the most awkward guy in town but this time he actually got it right, in a way. Love and wine have always come hand in hand. And if the funny message doesn’t cut it, the gorgeous typography and colors will definitely do the job.